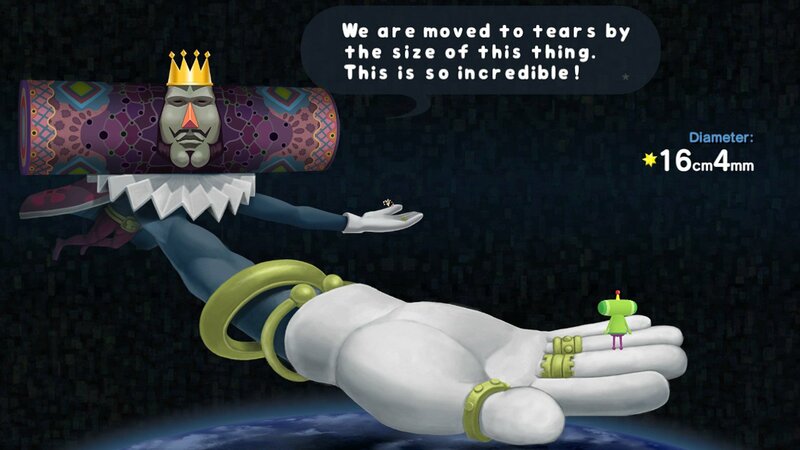 It’s been 14 years since Katamari Damacy graced us with its bizarro charm and broken family dynamics, but the King of All Cosmos is back in full HD and it’s up to you to do the (literal) groundwork so the universe can be whole again. For those who haven’t experienced the original Katamari Damacy, the general purpose is to roll around a small ball that magically picks up things like ants and candy, eventually growing to consume humans, houses, and well...everything on Earth. Once complete, the Katamari is shot up in the sky to replace a celestial body that your father, the King of All Cosmos, destroyed through what was essentially a raging, drunken escapade through space. If only half of the words in that paragraph made sense to you, don’t fret; you now have the chance to read this review and decide if you’d like to experience it for yourself in HD. For me, revisiting Katamari Damacy was akin to revisiting an old family friend after 14 years -- I wasn’t sure if the feelings of gratitude and love would still remain or if it would be awkward as hell. Fortunately, it's the former as the game’s mechanics, blocky environments, weirdly delightful music, and cheeky dialogue have aged surprisingly well. Coupled with the remastered graphics and HD cutscenes, REROLL feels like a game that could have very well come out in 2018 as a new, funky enterprise. The updated graphics and assets are truly the shining star of this remaster. Every object from a thumbtack to a giant squid is crystal clear and bright in all its blocky glory. Outside of the graphics, I found REROLL also features vastly improved load and save times, which are lightning fast when compared to the original. The movement and physics of rolling the Katamari feel extremely similar to the PS2 version, which can be a benefit or a burden depending on your preference as the game can still feel a little 2004 clunky at times. There are a few other minor changes, like the cutscenes being in their original Japanese with subtitles and an added tutorial screen reminding you to save your game manually (remember when that was a thing?). There’s also a new control style, called the “simple” style, which is anything but simple as it places the rolling mechanism on one joystick while the other moves the camera. On PC, you’re able to play with the keyboard as well, but it was so counterintuitive I wasn’t able to get past the tutorial. Other than that, Katamari Damacy is left simply as it was. Which means of course that you can only edit settings, including display resolutions in the Steam version, on your Home Planet after you complete the entire tutorial, just like in 2004 when most games had physical landing spaces for the options menu. Although I see it as charming, I imagine most people will find this frustrating. Unfortunately, I didn’t get the chance to review it on the Switch, but I imagine the added benefit there is to have Katamari Damacy on the go. 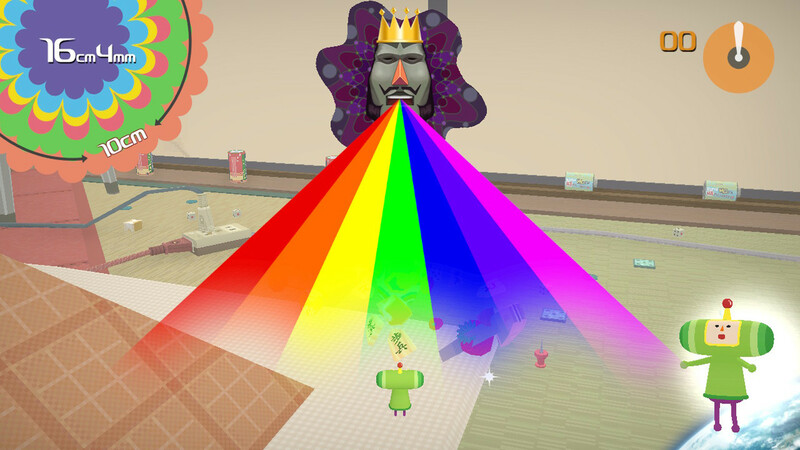 The joy and insanity of Katamari Damacy are just as alive as ever, if not more so, in REROLL. I felt just as energized playing it as I did nearly a decade and a half ago, whether it was from rolling up a perfectly sized bear or creating a brand new moon made from Japanese islands. Katamari Damacy is ageless in that way, the simple goal of growth sliced a million different ways to form an infinitely replayable game. 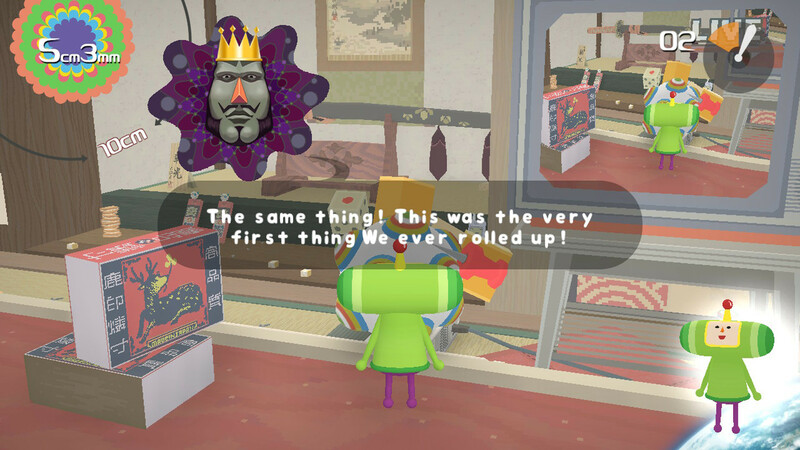 For those who haven’t yet given Katamari Damacy a shot, if you long for the unexpected and uncomplicated, Katamari Damacy REROLL offers respite from the norm of today’s games. If you’ve always had a soft spot for the series, this is your chance to relive the joys of proving yourself through a brighter, more clearly defined lens.